Model NO. : SSF-W-220 Kind: General Use Group: All Source: Air Type of Operating Light: Single Operating Light OEM Service: Available Trademark: SINSUR Origin: Shandong Type: Medical Pendant Certification: CE, FDA, ISO13485 LCD Display: With LCD Display Anesthesia: Closed Circuit Warranty: 1 Year Color: Optional Transport Package: Standard Export Package HS Code: 94029000 Electrical Anesthetic Pendant is an anesthetic workstation designed for modern clean operation rooms and general operation rooms. All kinds of terminals such as for medical gas, electricity, network are all gathered on the control board. The function of moving freely makes the operation more convenient. *The cross arm and control cabinet of the tower crane adopt the imported high-strength aluminum alloy of patent technology for the one-off extrusion molding, and the surface undergoes the primary oxidation treatment. *Aluminum molding tray with non-slip texture. *Pneumatic brake plus mechanical friction damping brake. *The imported electrical machine is adopted, and the electric perpendicular moving up and down. *The gas pipeline, power supply and computer communication line are separately arranged without interference. *The imported German standard gas terminal (over 20,000 of inserting and pulling out) is adopted. 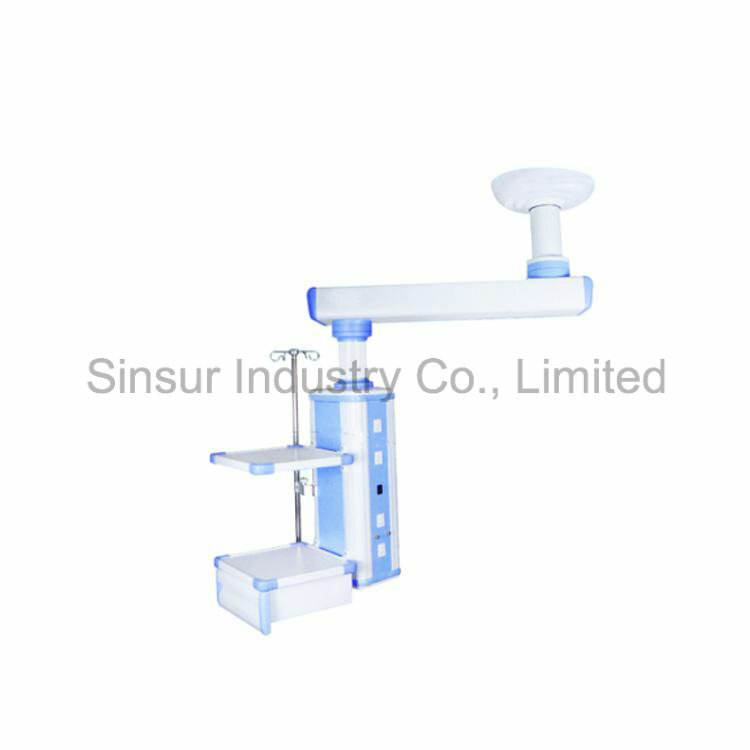 *The high bearing capacity with suspension the Anesthesia Machine system. *The horizontal rotation function can accurately position without excursion. Contact us if you need more details on Surgical Pendent. We are ready to answer your questions on packaging, logistics, certification or any Other aspects about Hospital Pendent、Medical Pendent. If these products fail to match your need, please contact us and we would like to provide relevant information.